The “Internet Ecosystem” is a term used to describe the organizations and communities that help the Internet work and evolve. 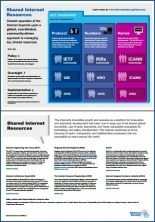 These organizations share common values for the open development of the Internet. 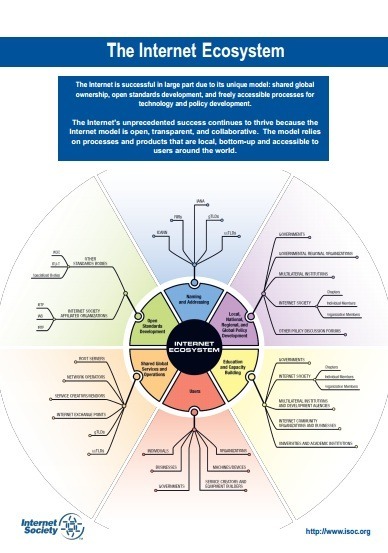 The Internet Ecosystem term implies that the rapid and continued development and adoption of Internet technologies can be attributed to the involvement of a broad range of actors; open, transparent, and collaborative processes; and the use of products and infrastructure with dispersed ownership and control. Technologists, engineers, architects, creatives, organizations such as the Internet Engineering Task Force (IETF) and the World Wide Web Consortium (W3C) who help coordinate and implement open standards. Global and local Organizations that manage resources for global addressing capabilities such as the Internet Corporation for Assigned Names and Numbers (ICANN), including its operation of the Internet Assigned Numbers Authority (IANA) function, Regional Internet Registries (RIR), and Domain Name Registries and Registrars. Policy and Decision Makers that provide local and global policy development and governance. 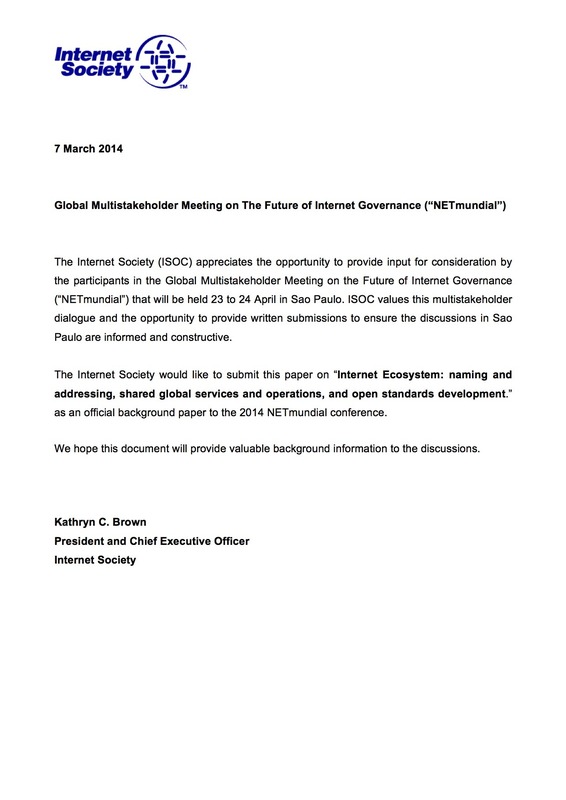 The paper and documents available from this page offers a brief introduction to some of the Internet organizations and processes that shape naming and addressing, shared global services and operations, and open standards development in the Internet Ecosystem.